Theorists have been talking about, modelling and providing anecdotal evidence for dual inheritance and gene-culture coevolution at least since the mid 1980’s (e.g. 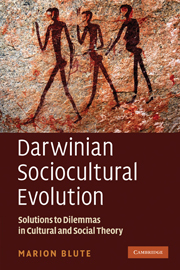 see Robert Boyd and Peter J. Richerson’s, Culture and the Evolutionary Process and William H. Durham’s Coevolution: Genes, Culture and Human Diversity respectively). A number of traits in particular populations have been plausibly linked to culture-driven genetic change including the effect of herding cultures on the level of expression of genes for lactose tolerance, of farming cultures on copy number expansion of genes for starch digestion, and of slash and burn agriculture on a gene conferring resistance to malaria but which can also result in sickle-cell disease for example. At a recent conference (the off-year meeting of the ISHPSSB), John Odling-Smee kindly drew my attention to two articles published this year which suggest that to bear greater scientific fruit, the multidisciplinary literature on gene-culture coevolution needs to be connected more closely with human population genomics (Laland et. al. gated, Richerson et. al. gated). Human population genomics has already yielded a great deal of information about the relatedness and migration histories of various human populations. However, methods have also been developed for detecting recent (on the order of 100,000 years) strong positive selection on genes in human populations. Pickrell, in a blog post this year on Genomes Unzipped has simplified the explanation of these methods which are rich with acronyms in the literature. All identify alleles which have gone up in frequency unusually fast – either by identifying unusually large allele frequency differences between two populations or by finding young alleles at unusually high frequency within a population. Some cautions are in order. First, the results of different statistical techniques used to infer this linkage disequilibrium can vary from identifying only hundreds to identifying thousands of genes subject to recent positive selection. A recent simulation study however has argued for the superiority of one of these (Huff et. al.). Secondly, culture could exert strong positive or negative selection pressures on genes to be sure, but with negative frequency-dependence among evolving cultural alternatives for example, it could also conceivably simply just leave alternative alleles in competition with each other (Blute gated). And last but not least, there is the question of the extent to which even recent strong selection necessarily implies a cultural cause. Nevertheless, and this is the point of the post, Laland et. al. in their Table 2 (gated but reproduced below) have identified eight categories of genes from the literature, some including as many as 30 genes, whose function or phenotype is broadly known, and for which cultural selection pressures can reasonably be inferred. As “next-generation” high-throughput sequencing technologies become available and cheaper (Metzker gated), although the major impetus for them is medical, they will inevitably ultimately be used to provide a denser set of sequences from more individuals in more populations yielding more information. In short, the traditional sociobiological story of genes-to-culture causal arrows by means of genes selecting among culturally transmitted alternatives is finally being supplemented on a large scale by a story of culture-to-genes causal arrows by means of culture selecting among genetically transmitted alternatives – all to the better of understanding both human unity and diversity.